The Lipkin Microbiome Crowdfunding Campaign Launches! An ambitious $1.27m international, patient-led fundraising campaign storms into action. Sasha invites you to join it! 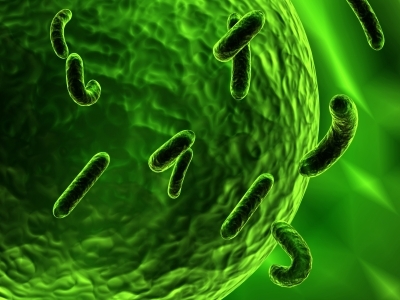 This week sees the launch of a major new crowdfunding campaign: the Microbe Discovery Project. The campaign aims to raise $1.27 million (£760,000; €910,000) by 31 December 2014 to fund world-famous virus-hunter Dr. Ian Lipkin’s ground-breaking study of ME/CFS and the gut microbiome – our intestinal ecosystem of bacteria, viruses and fungi. The study is spectacular, because of the series of crucial, cumulative steps that it makes to identify what might be driving our immune problems and hence our symptoms. The study will take place at Dr. Lipkin’s 60-strong Center for Infection and Immunity at Columbia University in New York, the world’s largest and most advanced academic center in microbe discovery and diagnosis. First, blood and faecal samples will be taken from 100 patients who each fulfil both the Fukuda and Canadian Consensus diagnostic criteria, and from 100 matched controls. Dr. Lipkin’s team will identify the viruses, fungi and bacteria in the guts of the study subjects using high-throughput DNA sequencing. They will then determine the amounts of each microbe using highly accurate real-time PCR assays that are specific to each microbe. Next, blood levels of cytokines (immune-system messenger molecules) will be measured to produce an immune profile for each patient. Biostatisticians will then analyze the cytokine and microbiome profiles to identify a potential link to ME/CFS and to define the relationship between immune markers and candidate microbes. In addition, the team will develop antibody tests for any microbes that appear to be related to immune dysfunction. These stages together will make this a definitive study that has the potential to produce diagnostic tests for key microbes and to lead to treatments using drugs, probiotics or exclusion diets. Some of these treatments, such as exclusion diets, have the potential to be rapidly adopted without having to go through the lengthy process of clinical trials and approval by the US FDA and other countries’ health institutions. In the absence so far of any FDA-approved drug treatments for ME/CFS, Dr. Lipkin’s study therefore appears immensely attractive. Dr. Lipkin and his researchers have already sought funding and have so far been unable to fully finance the study. The NIH, of course, has always treated ME/CFS research poorly, giving us roughly $5 million a year to MS’s $115 million. Dr. Nancy Klimas has reported that in 2014, the NIH will give $3 million to ME/CFS and $18 million to study male-pattern baldness. Vanessa Li, an ME/CFS patient, heard the broadcast and was so frustrated that such an important and promising project could be lost that she decided to start a campaign to crowdfund it. She contacted Dr. Lipkin’s office, gained their agreement for a campaign, and recruited other patient-volunteers to help. Her timing for such a crowdfunding project is perfect. During the last year, patients have learned that together they can raise very substantial sums extremely quickly if they’re donating to a specific project rather than to a charity’s bottomless general research fund. We’ve seen patients and supporters in Norway – with a population of only 5 million – raise $430,000 in 90 days for a clinical trial of Rituximab and, since then, a slew of US-based ME/CFS crowdfunding campaigns reaching or exceeding their targets at astonishing speeds: $213,000 in 31 days for the Canary in a Coal Mine documentary film; $18,000 in 35 days for the documentary The Blue Ribbon; and $150,000 in 75 days for an Open Medicine Foundation study of Vitamin B12. It’s clear that when patients see a project that inspires them and an organised campaign gets behind it, the donations come storming in. We also know that when many small donors get the fundraising total to a certain level, large donors come forward: this is exactly what happened when a single donor gave $300,000 to Invest in ME’s UK Rituximab trial for ME/CFS after patients had raised $90,000. To get the fundraising drive underway, the campaign team have created a Facebook page with news and updates and a website designed to funnel people straight to Columbia’s donations page (if you need help, visit the campaign website’s donations page for instructions). The site includes a video message from Dr. Lipkin, information about the study and the scientists, the latest news, updates on the total sum raised, and suggestions for how you can fundraise and help spread the word about the campaign, including a template letter you can send to your local newspaper. The Center for Infection and Immunity themselves are, of course, also promoting the study to potential donors via their own social media. The campaign team have contacted leading bloggers to ask for coverage; this article on Phoenix Rising alone will reach thousands of readers. To get the message out even further, the fundraising team will conduct a mass email and Facebook contact campaign to tell individuals and organisations in our community about the project and to ask them to spread the message through their own social networks. The team have plenty of other plans up their sleeves, which you can find out about on their website and Facebook page as things start rolling. It’s hard to overstate Dr. Lipkin’s international reputation – he has just been awarded the highly prestigious Mendel Medal, given to outstanding contemporary scientists of the calibre of Nobel Laureates – and it is also hard to exaggerate what his involvement in our disease could mean for us. A finding from his laboratory would get the kind of attention from scientists and clinicians that at present we can only dream of and has the potential to lead rapidly to treatments. There is already tremendous excitement about the study in the ME/CFS community and it’s building. A crowdfunding campaign for Dr. Lipkin’s project will attract attention from our own community that other studies would struggle to get and will allow us to reach out beyond we few thousand who follow blogs and forums and access the wider world of ME/CFS patients and beyond, just as Maria Gjerpe’s MEandYou campaign raised the profile of the disease across Norway. Our donation base will permanently grow. Every other study that we want to crowdfund in future will benefit. A rising tide floats all boats. So, donate from anywhere in the world, visit the campaign website, find out how to fundraise and to spread the word, and join with us. Dr. Lipkin’s involvement gives us an unprecedented opportunity to change the game. Let’s take it! Given the importance of spreading the word about this major appeal, Phoenix Rising is happy to permit immediate republication of the entire article. Please accompany with the following accreditation: 'Article by Sasha, first published on Phoenix Rising: http://phoenixrising.me/archives/24385 ' Thank you. I would like to extend an enormous, warm thank you to Phoenix Rising for hosting a second article by another excellent writer on this crowdfunding campaign and for promoting us by giving it so much exposure. I am forever indebted to the Phoenix Rising Content team for devoting their time and resources to publishing this article, featuring it on the top banner, and including it in the upcoming PR newsletter. My biggest and sincerest thanks to all. good on ya. Good to put a name to the face too. Just wow, your an inspiration for getting something like this started. I cant believe $18mill for male pattern baldness, tell all the baldies to stop worrying about vanity, they can do cbt/get for hair growth and cfs/me will have that money for real research. Thanks, heaps, although it's not just me! There're at least five people behind me (metaphorically speaking) propping me up. I missed you! I have had no time to look at the 'usual' threads at all. sounds like u have been busy, hope u have found some sort of relief with your suffering. Hopefully one of the first to trial any new treatments they think are worthy?? Thank you Vanessa and all involved. I have just added my donation. It's amazing we can't get funding for this. One of my dad's colleagues has just been awarded a £1.9million (note that is GBP and not dollars) grant to study the relationship between the human and the chicken. Donated, thank so much Vanessa and to everyone involved. Unfortunately there are millions of us round the world with ME/CFS, about 19 million I've seen quoted, but this means there are millions of us who can give, plus family and friends. No matter how small that donation may be, it is worth giving, it all adds up if many are giving. I feel sure we can do this, we can raise the money if we all pull together. In fact when you look at it that way, we can surely raise many millions! Edit: Okay - have donated now as well! Thank you to all who are making this possible! I would like to echo your sentiments. Phoenix Rising has been more of a family, more of a friend to me, than those that walked away when I needed them most. I have taken for granted the work they do, the advice and help they give. It is a source of concern to me that those that take the time to moderate the board, time to write the articles, especially the interview with Dr Lipkin ( and there are many others ) do so in ignorance of the gratitude of those such as myself. I hope there is little doubt now. Perhaps you'll never really know just how thankful I am. In fact, I am almost ashamed to admit the depths to which I have come to rely on Phoenix Rising. It is all the more remarkable that you are poorly yourselves. It is a thankless task, and in truth, it is not one I would be willing to undertake. If I have a voice, it is only because you chose to listen. Donated, really looking forward to this, I think it has great potential! Thanks so much to all who are donating! Let's keep the $$$ coming in. Even if you can only donate the price of a cup of coffee or of a magazine or a paperback book, it will all add up - and this is the sort of exciting, ambitious campaign that it's great to feel a part of. I think that money is going to rack up very quickly. I donated to his department when word of this need first came out, but I've donated again now, earmarked specifically for this campaign. I trust his credentials as a researcher, and if this is the direction he feels would be most useful for us to explore next, I want to do everything I can to make that happen. Hello @Sparrow--thank you for both of your donations! Many, many thanks to all of you working on Phoenix Rising and this thread in particular. It's true, your site has given us great companionship, and hope, as well, by giving us vital information about research and so on over the years. This study sounds tremendously useful and I too would drop everything and fly to the USA to be part of the study. If only... Even so, I've already donated and I'll do so now, again, today! But I'm curious about how much has already been raised and I'd love a running total of the amount, put somewhere prominent on the home page, so every time I look at Phoenix Rising I can feel part of the project. I've donated again, and just wanted to say great job on the website! It turned out really well! Hi @Lynne B--thank you for your donation! If you look on the right hand side of the homepage on http://www.microbediscovery.org/ you will see the amount of funds raised so far. Right now we are working very hard to get Columbia to give us updates more than twice a week, but tomorrow (Friday) happens to be the second time in the week when the total will be updated, so be sure to check over at the site tomorrow for the most up-to-date total! We're all very used to sites like Kickstarter and Justgiving now, where you donate and you see the total update instantaneously - it's very thrilling! For this project, money goes in via that Columbia University standard donations page and it's just not like that - updates have to be obtained from the CII's office so there's a built-in delay and some administrative faff for them with the university. It's clear from messages that the team are receiving both here on the article comments and through direct contact, though, that a lot of people are donating! If you do donate, please post about it. It's not boasting. It's helping to set a social norm. Research shows it encourages other people to donate, so don't hide your light under a bushel! Thanks so much to all who have donated - keep it coming! I donated for this project before this campaign started. ETA: Thanks to V and the rest who set the website up and the crowdsourcing initiative.